I’ve known Bill Lesko for more than two decades. But not really, I discovered. Last week, I found out why: Lesko and his partner, Martha Fox, a retired elementary school math teacher, are always on the go. Lesko is always interesting – beginning with his six-years of volunteer work to restore and crew the SS John W. Brown, one of America’s two surviving Liberty Ships, built in 41 days in 1942. Out of 2,700 Liberty ships produced in WWII, 384 were built at Baltimore’s Bethlehem-Fairfield Shipyard. With two now seaworthy, the public can take eight-hour “living history” tours, steaming the Chesapeake on these merchant ships that are heroes in the Allies’ victory in WWII. True that – and he comes by it naturally. As a 12-year-old boy in Bridgeport, Connecticut, he was a Civil Air Patrol cadet, engaged in air search and ground rescue exercises, an early interest in aircraft and flying that continues. After graduating from high school in 1966, Lesko joined the Army, where he spent three years as a radar technician, including one year in Vietnam and another at the White Sands missile range in New Mexico – one of the key locations of the Manhattan Project, where the US tested the world’s first atomic bomb in 1945. After the Army, Lesko joined the US Naval Reserve – serving from 1969-1972 as an electronics technician while earning a degree in civil engineering technology at New Mexico State University. After graduation Lesko joined the US Coast Guard, serving as a civil engineering officer for 17 years, retiring as Lt. Commander in 1990. In fact, one of his prized models is the Coast Guard motor lifeboat, a 36’ vessel, dispatched to rescue the crew of the oil tanker SS Pendleton after it split apart during a Nor’easter off the New England coast in 1952 – depicted in the 2016 historical drama-thriller film, The Finest Hours. With his military career behind him, he built on his civil engineering experience by going to work for Anne Arundel County where, until 2010, he managed utility engineering projects. During this period, he also started and ran his own home inspection business and volunteered eight years to commanding a Civil Air Patrol cadets squadron at Lee Airport. His two sons were also cadets. When he retired for real in 2010, Lesko ramped up his unending enthusiasm for model trains, planes and boats – all interests rooted in his childhood. Lesko is still building models of some kind. In fact, a few months ago, he completed a built-from-scratch, radio-controlled WWII Grumman “Avenger,” a torpedo bomber featured in the 1944 film classic, Wing and a Prayer, about the war in the Pacific. “Each year,” he said, “I have a model-building project. I’ve done that for years. At least one. 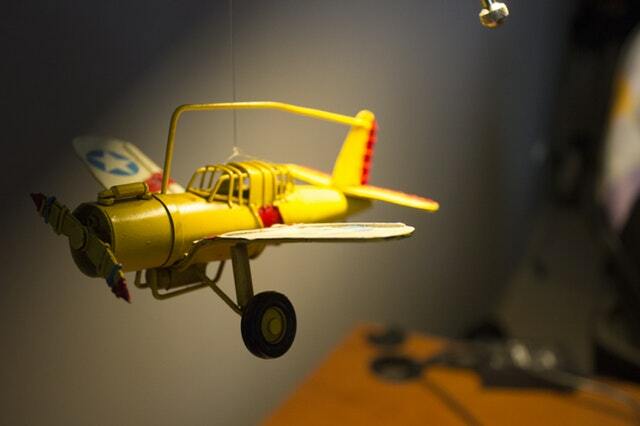 Often more” – a claim easy to understand when you look at his impressive collection of model planes, trains and boats that are smartly displayed around his home. His “boat room” is given over exclusively to submarines, coast guard cutters, destroyers and other vessels, ranging in size from 36 to 60 inches or more. His living room has several bookshelves displaying model airplanes, mostly WWII vintage beginning with a B-24 bomber and all WWII aircraft used by the US Navy. Lesko also has an affinity for restoring and flying real airplanes. Between 1978 and 2007, he bought and restored three antique aircraft – a 1946 Ercoup and a rare 1966 Alon, both two-seater aircraft. He also restored and flew a 1982 Grumman Traveler, a four-seater that he used for taking his wife and two boys on family trips to the beach, airshows or other destinations. Yes, Lesko also built or restored twenty-some full-sized boats over the years, both sail and power. “Most were wrecks when I got them,” he said. The largest was a 1920 design wooden yawl, a classic he built from scratch over three years. He currently has a Newport 28 sailboat that he restored and keeps in the Anchorage community marina. Both Lesko and Fox enjoy summer cruising around the Bay. Finally, Lesko led me to his finished basement – yes, of course, he finished it himself – to see his O-27-gauge railroad. The trackage, attached to the walls, completely surrounds a 25-foot-by-15-foot room. Lesko has not only modeled CSX and other rail lines, he has used wallpaper to model the passage of the train through farmland, residential, urban, industrial, forest, coal mining, and lumber yard environments. Lesko said, “The basement construction and railroad layout took five years to complete. I didn’t use it much after I finished it. The fun is in the building. But I’m enjoying it more now because my grandkids like it. As if his hobbies weren’t enough, Bill Lesko and Martha Fox love history, the arts, film and physical fitness. Martha takes tap dancing lessons at AACC and sings – with the Baltimore Choral Arts Society and every Sunday with Zion Lutheran Church. Both are avid readers – including everything from history to whodunnits. In fact, they recently took the Western Maryland Scenic Railroad “Murder Mystery Dinner Train” where passengers enjoy a good dinner while getting a chance, en route, to solve a crime and interact with the professional actors. Lesko and Fox are regular bicyclists on the local rail trails and transport their bikes on their car on extended trips to places as close as Cumberland, Maryland and St. Mary’s City; the Delaware History Trail; Pennsylvania’s Flight 93 Memorial and Amish country – and as far away as Cape Cod. When I said, “That makes you healthy,” Lesko noted they are also three-times-a-week at the fitness center. Though I never doubted, Lesko went to his closet and pulled out his Coast Guard pea coat. “See,” he said, “it still fits.” And it did, even though it was first issued to him in 1972. Toward the end of our conversation, I asked Lesko how he would summarize his approach to “retirement.” He had a ready answer. Create structure in your life. Have a plan for each day with objectives to give direction and define. Begin by making your bed, retired or not. Making your bed is important because it means you begin your day with an accomplishment. Engage in regular and demanding physical activity. Walking, cycling, swimming. Whatever works for you. Life is good and it’s better if you’re healthy. Volunteer. It’s important to use your time and talent to help others by mentoring, giving assistance or providing advice. Follow your passions. Continue the things you enjoy doing. Make a list of the things you want to do. Now you have time. Mine include parachuting, flying, sailing and model-building. Learn new things. Read. Travel to historic places. Teach your grandchildren things. I’m teaching mine to build model boats – using kits to whet their appetite for model-building from scratch. Get a cat. It will be a great company. You can leave a cat for days at a time with an auto feeder and litter box. Don’t get a dog. Dogs tie you down. Lesko is a perfect example of the continuity, peace and sense of purpose that come from having interests and passions that transcend and calm life’s many transitions. As we get tossed about by the hazards of life, it is always to our benefit to have anchors that will hold. Share the post "You can’t separate a boy from his toys, no matter his age"